A spacious and well finished garden flat with a rare private entrance via its generous and well established garden. A lovely way to enter your home. Inside the kitchen / entertaining space is fabulous and light and connects through to the reception room in the centre of the flat. 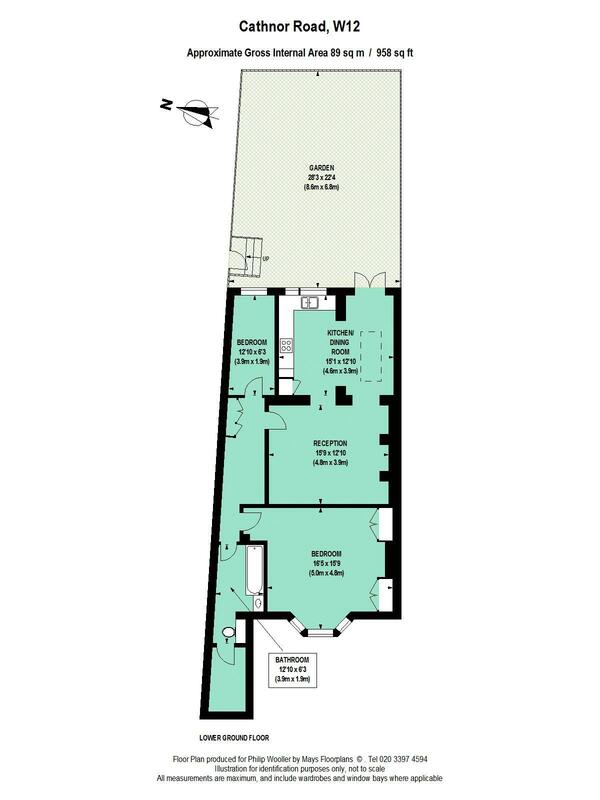 There is a good sized inner hall leading to a huge master bedroom and recently fitted bathroom. The second bedroom / study has a window overlooking the garden. The property is at the end of the terrace at the northern end of Cathnor Road and the flat's entrance is on Goodwin Road. Both Ravenscourt Park and Askew Road within a short walk. The shopping and transports hubs of Hammersmith and Westfield are within easy reach and Goldhawk Road or Shepherd's Bush Market tubes, along with Uxbridge Road's eclectic mix of shops, restaurants and theaters are also close at hand.